You can either contact the school directly or ask someone you trust to get in touch. It is also a good idea to let the schools or preschools of your other children know about your child's cancer diagnosis. See Letter to inform the school about your child's cancer diagnosis for a letter you can personalise and use to let the preschool or school know. This will make teachers and other staff aware of what is happening so they can provide support for your family/whānau. Keeping communication channels open and maintaining regular contact throughout your child's treatment will help reduce uncertainty and ensure everyone is on the same page. It will also allow your other children's schools and preschools to provide support and be on the lookout for any academic, social or emotional problems they may experience as a result of their sibling's cancer diagnosis and treatment. How much or how little you and your family/whānau want shared within the school community is your decision. Be clear with your school or preschool about what level of information you are comfortable with them sharing. Also, make sure they know who you are happy for the information to be shared with. If your child usually goes to school and is in hospital for more than 2 weeks, a teacher from one of the regional health schools in New Zealand can teach them. Regional health school teachers work with students with high health needs both in hospital and in the community. They can teach children from years 0-13. 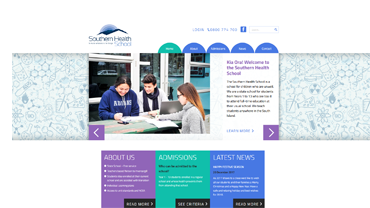 There are 3 health schools that cover New Zealand; Northern Health School, Central Regional Health School, and Southern Health School. After your child's cancer diagnosis is confirmed, the hospital will refer you to a teacher from the nearest health school. The teacher will talk with you and your child, with the teachers at their regular school and with the healthcare team to develop an Individual Education Plan (IEP). If your child hasn't started school yet, then they will receive an Individual Plan (IP). You may be eligible for different kinds of financial support because of your child's cancer diagnosis. Many of these allowances are available from Work and Income. You can ask your healthcare team to give you more information about this. For more information see Financial help when your child has a disability or chronic condition. 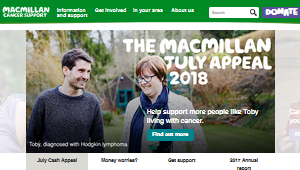 There are a number of organisations that you can contact for support. See Support for the family of a child with cancer and Childhood cancer: Where to go for more information and support.